Learn about microcontrollers, maker boards, and more at Electromaker.io! Growing crops can be a fun, or even profitable venture. For instance, vegetable patch may provide monetary savings at the grocery store. Or, you may scale your crops and begin selling produce at a local market. If you're like me, it's possible your few cacti are enough to handle. In that case, a crop growth monitor is an awesome, easy Arduino project. Using an Arduino Uno, you may create your own device to monitor crop growth. It uses an HC-SR04 as its sonar for detecting an object's surface and measuring distance. There's a little code involved, but overall it's a simple Arduino project which offers loads of functionality for the budding grower. Football, or soccer as it's dubbed in select locales, is ultra-popular. Keep track of your club's score with an Arduino-powered scoreboard. With minimal hardware components and almost no programming, it's simple to cobble together. While it's dubbed a football scoreboard, you could also use this Arduino-based scoreboard remembering the scores of your favorite football, American football, basketball, rugby, and baseball teams, or virtually any sport. "Star Wars" remains one of the most revered film franchises in cinema history. As such, there's abundant Star Wars merchandise on the market, ranging from app-controlled R2D2 and BB8 droids, to video games, and even leggings. Maker Bitluni created an awesome persistence of vision Star Wars lightsaber with an ESP32, gyro sensor, and Neopixels. While building a lightsaber sounds complicated, this neat lightsaber which projects a picture of Darth Vader isn't as difficult as it might seem. In addition to visuals, it includes sound effects too. No kyber crystals required! For more Star Wars DIY fun, try making your own BB8 remote-controlled droid. A T-Skin is a human-machine interface. More simply, this programmable wearable device is used in a variety of ways to truly interface with the human body. Using a T-Skin, you can build an Arduino-powered robotic arm that can then be completely controlled with a T-Skin. This indeed shows the future of wearable tech. Superheroes are all the rage, thanks in large part to Marvel Studios and its Marvel Cinematic Universe (MCU). X-Men character Wolverine might not be the first superhero, but he's easily among the most recognizable and popular. Whether you're a cosplayer, Wolverine fan, or merely a dedicated maker, the Wolverino is a fantastic project. 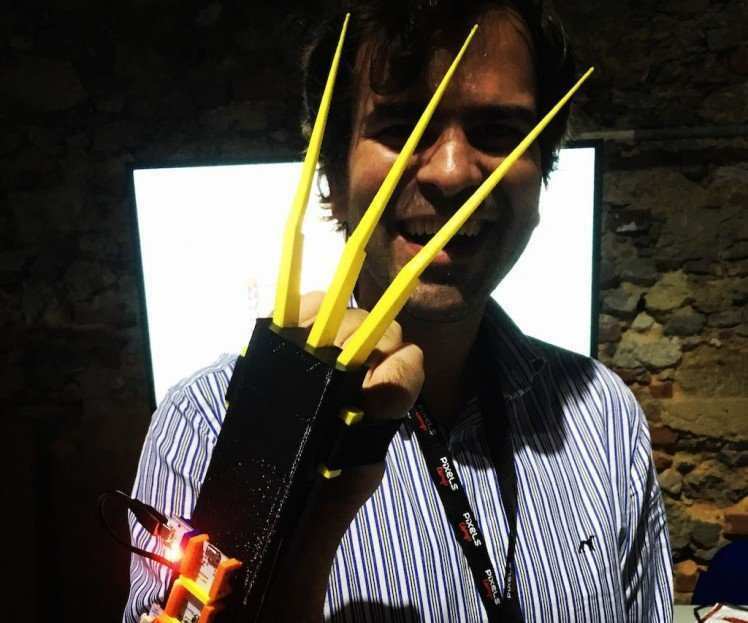 It uses an Arduino Bit, Visuino, and BITalino among other parts and pieces to cobble together a fully automatic set of Wolverine claws. They're muscle-controlled, and use either mechanomyography or electromyography signals to retract and shoot out. Holidays provide a fertile landscape for seasonally-appropriate DIY projects. For Halloween, try creating a magic wand for spooky excitement. It's ideal for trick or treating. You'll need an Arduino Uno microcontroller and various parts to create this wand which in turn controls the lid on a plastic jack 'o lantern. 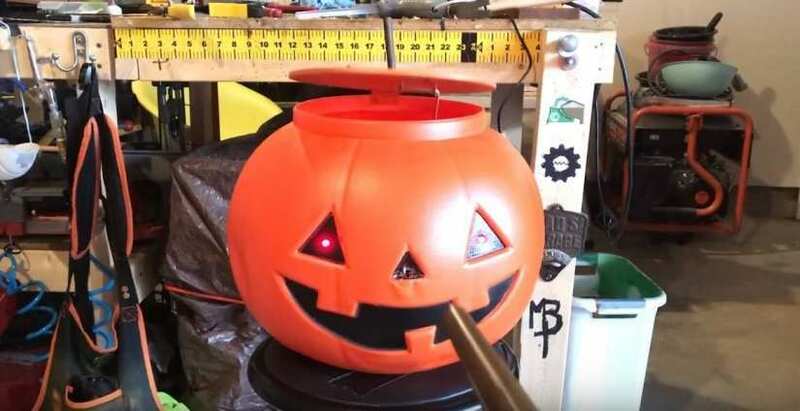 Fill it with candy, set it out, and enjoy terrorizing your friends and neighbors by opening the pumpkin head from afar with your Arduino-powered wand. Maker Lewis of DIY Machines created an incredible Arduino-powered word clock. This nifty clock highlights random words on its surface to tell the time. While it totally looks like something you could buy at Ikea, and was indeed inspired by an off-the-shelf product, Lewis's word clock is inexpensive and rewarding since it's ultimately an invention by you as the maker. Smart home control is incredibly popular, and smart home automation takes this notion further. Rather than simply controlling your devices manually, let automation perform set actions to reduce the human element. Using this Arduino-powered automated window blinds set, you benefit from blinds which raise and lower based on outside brightness. As you can imagine, this Arduino project is slightly more involved but still completely feasible to replicate and a wonderful addition to any smart home. Pair your automated window blinds with a home automation lamp for an awesome, Arduino-powered smart home. If you've got a home theatre PC (HTPC), you likely use some sort of keyboard and mouse to control it. While you can purchase many stellar wireless keyboards for HTPC use, you may also build a wireless keyboard with an Arduino Pro Mini 328 and some 3D printing. Though this wireless keyboard does require a bit of soldering, it's nonetheless simple, and a superb addition to any media centre. I've got quite a collection of movie posters. In fact, my housemates would probably argue that I've got too many film posters, especially those weird "Lord of Illusions" posters hung in nearly every room. However, despite my commendable array of cinema posters including a retro-inspired "Aliens" print, I don't quite have anything as eye-catching as an LED backlit movie poster. Steve Moseley whipped up an awe-inspiring animated movie poster using an Arduino and Neopixels. A truly impressive work of art, this animated movie poster is probably my favorite Arduino project I've yet to witness. Perhaps I'll make my own "Lawnmower Man" animated LED backlit movie poster. Though these are the top 10 Arduino projects we've seen, there are plenty of other incredible Arduino DIY creations. The coffee bird is a nifty way for coffee addicts...I mean aficionados, like myself to find out if the coffee carafe is blissfully full or frighteningly empty. For additional smart home automation, use an Arduino for an IR remote and home automation. Alternately, get started with robotics and make an Arduino-powered robot powered by wearables. For more super cool projects, check out the 10 best Raspberry Pi projects you can make! 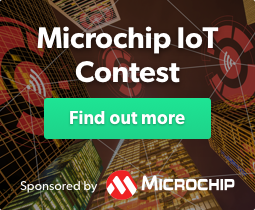 Your turn: What are your favorite Arduino projects?